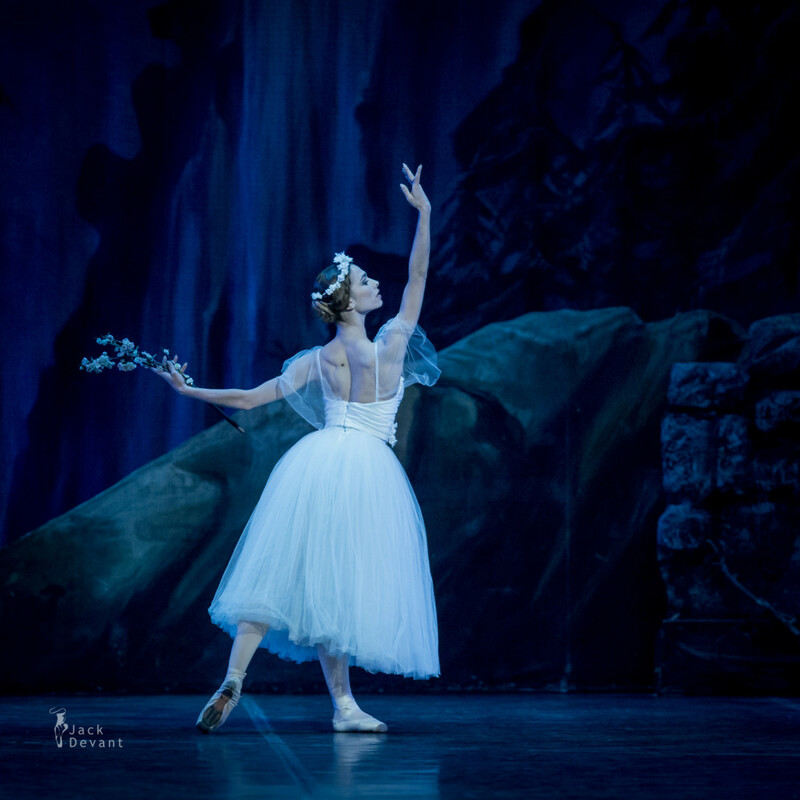 Luisa Ieluzzi as Myrtha, Queen of the Willis in Giselle, music by Adolphe Adam, choreography by Jean Coralli, Juler Perrot, Marius Petipa, new version by Ludmila Semenyaka. Conductor Aleksei Baklan. Shot on 2.8.2015 in Teatro Di San Carlo, Naples, Italy. Luisa Ieluzzi is currently with Ballet Company of San Carlo Theatre, Naples, Italy. The Wilis, led by their merciless queen Myrtha, haunt the forest at night to seek revenge on any man they encounter, forcing their victims to dance until they die of exhaustion. Myrtha and the Wilis rouse Giselle’s spirit from her grave and induct her into their clan, before disappearing into the forest. Albrecht arrives to lay flowers on Giselle’s grave and he weeps with guilt over her death. 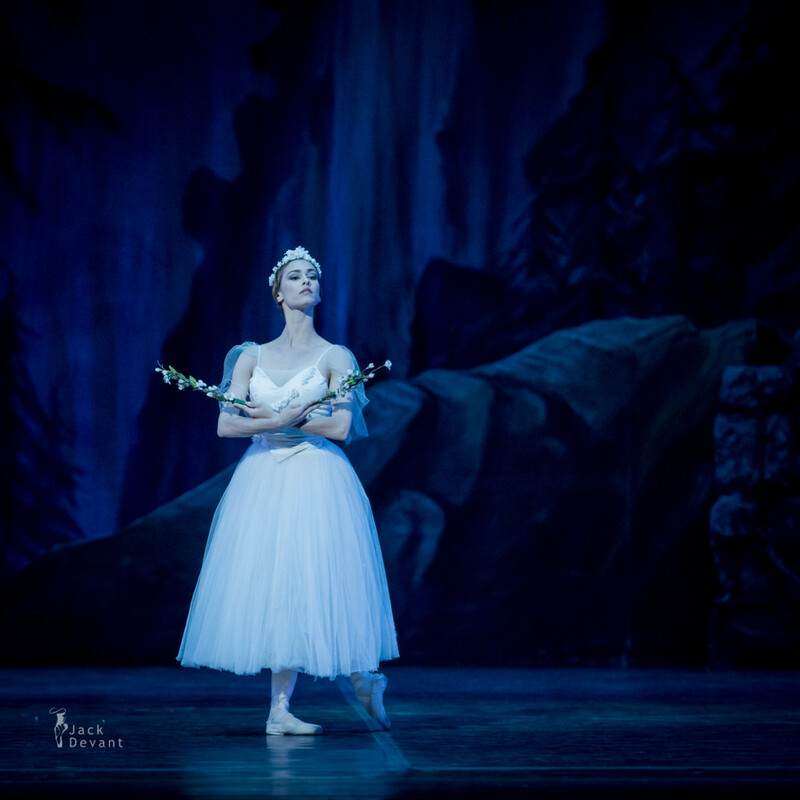 Giselle’s spirit appears and Albrecht begs her forgiveness. 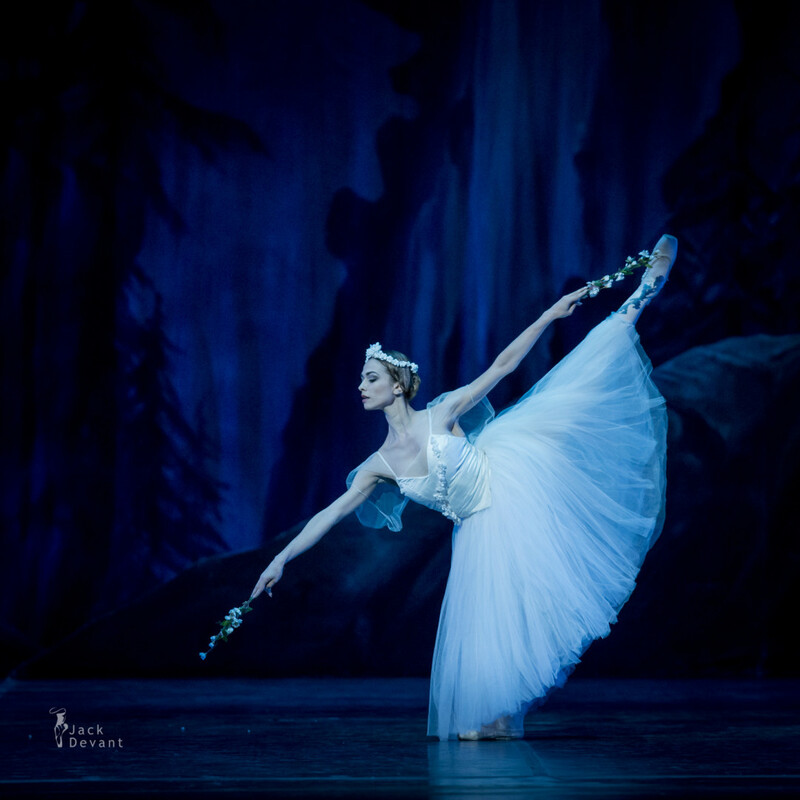 Giselle, her love undiminished, gently forgives him. One Response to "Luisa Ieluzzi as Myrtha, Queen of the Willis in Giselle"